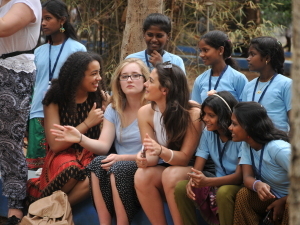 The visit to India in July 2014 was a real inspiration to our students in so many ways. One of the things they took from the trip was the importance of higher education for the children from Bethel and Joy. As many of the Poynton students were moving on to university in a few months, they realised that without the help and support of the student finance they receive in the UK, the situation for Indians was much harder. They resolved to try and change that for the children at Bethel and Joy, their scholarship fund was born! Higher Education gives the children at Bethel and Joy the opportunity to build a career, rather than just have a job, just as it does for our students. It is the key to social mobility in a society where your background drastically restricts your future. It empowers the children to make real and lasting changes in their own lives, the lives of their families, and their local communities. As you can imagine, finance is a real barrier to the Bethel and Joy children being able to gain that education. But this is something we feel the Poynton High School community can take action on, and make a long term commitment to supporting. You can click below to find out the story so far, how the scholarship fund will work and how you might be able to help us make a difference directly with every penny. The journey has been a long one! 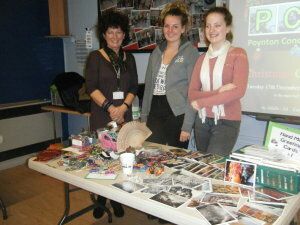 As a school we have been raising money for India Direct for almost a decade. Including the regular sponsorship of some children, and the money we have raised for specific items like the play park at Joy Home, we have donated over £30,000. Find out more about how far we’ve come already! Higher Education gives the children we support an opportunity to build a career, rather than just have an unskilled, poorly paid job. Whilst we’ll be starting small, unfortunately only supporting a few students, we hope to be able to provide better access to higher education for all the children we’ve supported in India. Find out how we plan to support higher education by clicking below! It will not be easy to maintain the necessary level of fundraising to support the Scholarship Fund. We’ll require the efforts of the whole school and the support of the local community in order to make it work. Click below to find out more how you might be able to help us!